Bring the kids along to Norwegian Museum of Technology and The Kon-Tiki Museum. Eschew the tourist crowds and head to Bygdøy and Astrup Fearnley Museet. 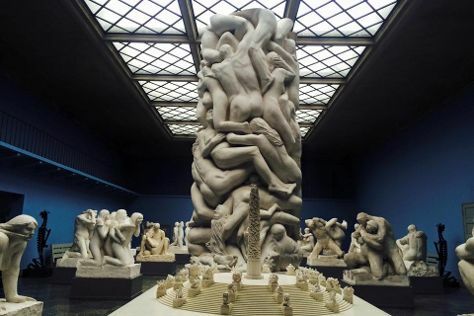 There's much more to do: test your problem-solving skills at popular escape rooms, examine the collection at 22 July Centre, tour the pleasant surroundings at Frogner Park, and explore the world behind art at Vigeland Museum. To find other places to visit, ratings, more things to do, and more tourist information, refer to the Oslo online trip itinerary builder . Sao Paulo, Brazil to Oslo is an approximately 19-hour flight. You can also do a combination of bus and flight. The time zone difference moving from Brasilia Time (BRT) to Central European Time (CET) is 4 hours. Prepare for cooler weather when traveling from Sao Paulo in October: high temperatures in Oslo hover around 13°C and lows are around 1°C. Finish your sightseeing early on the 9th (Wed) so you can travel to Trondheim. The oldest of Norway's major cities, Trondheim sits on the southern shore of one of the country's longest fjords. 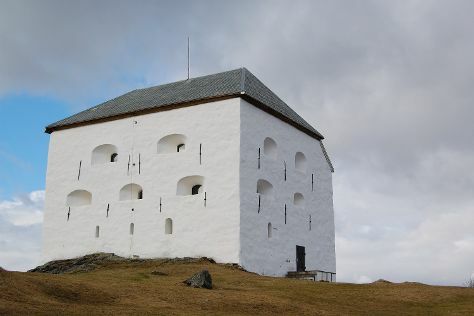 Start off your visit on the 10th (Thu): steep yourself in history at Bakklandet Old Town, brush up on your military savvy at Kristiansten Fortress, then grab your bike and head to Sykkelheisen Trampe, then examine the collection at Rockheim, and finally take in the views from Old Town Bridge. To find traveler tips, reviews, where to stay, and other tourist information, go to the Trondheim trip planner . Getting from Oslo to Trondheim by flight takes about 4 hours. Other options: do a combination of flight, taxi, and ferry; or drive. In October, daily temperatures in Trondheim can reach 11°C, while at night they dip to 3°C. Finish your sightseeing early on the 10th (Thu) to allow enough time to travel to Copenhagen. You'll discover tucked-away gems like Food Tours and St. Alban's Church. 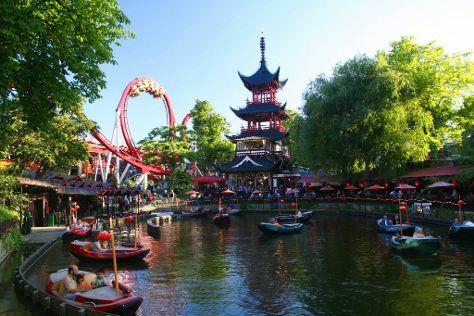 Family-friendly places like Tivoli Gardens and Nyhavn will thrill your kids. There's still lots to do: examine the collection at Ny Carlsberg Glyptotek, ponder the design of Gefionspringvandet, take an in-depth tour of National Museum of Denmark, and step into the grandiose world of Rosenborg Castle. For where to stay, maps, ratings, and tourist information, go to the Copenhagen trip planner . Fly from Trondheim to Copenhagen in 5 hours. Alternatively, you can do a combination of flight and train; or drive. Expect a bit warmer temperatures when traveling from Trondheim in October; daily highs in Copenhagen reach 15°C and lows reach 9°C. You will have some time to spend on the 15th (Tue) before leaving for home.